New music has been a long time coming for British soul/pop singer Emeli Sandé. After bursting onto the scene with her critically-acclaimed, commercially successful, award-winning 2012 album ‘Our Version Of Events’, she virtually disappeared from view, leaving those who loved what they heard pining for the follow-up. 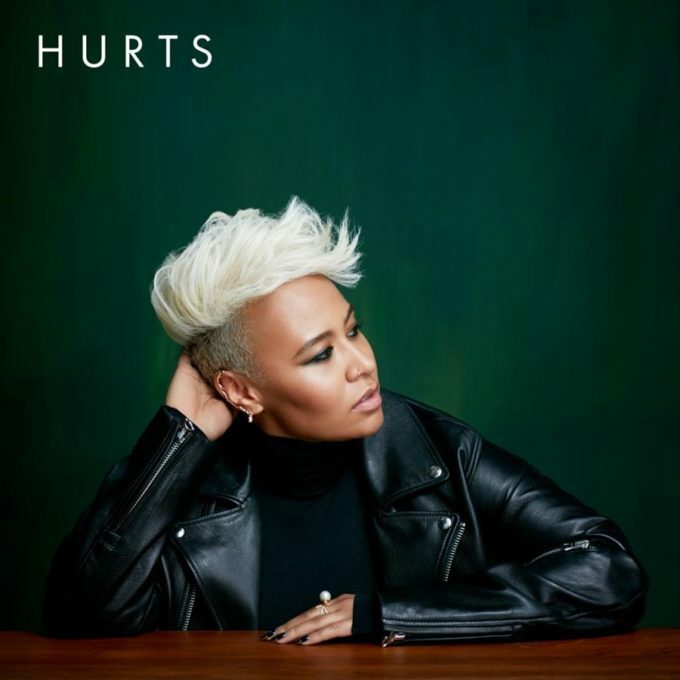 Now the first step on the road to that long-awaited follow-up is almost here, in the form of new single ‘Hurts’. And with it, an explanation for the almost five year gap since her debut. “Sounds a bit dramatic but I just wanted to disappear,” she explains. “I just had this overwhelming sensation and realisation everything had to stop. And then slowly it did. And with ‘Hurts’, she finally gets the chance to released that pressure in song. Though there’s still no word on that highly anticipated sophomore album – yet – we’ll have our chance to feel the ‘Hurts’ when it drops at digital retailers everywhere on Friday September 16. Check out the (all too brief) teaser at her OFFICIAL WEBSITE.